Theory and Practice of Corporate Governance explains how the real world of corporate governance works. It offers new definitions of governance and new conceptual models for investigating governance and corporate behaviour, based on both practical experience and academic investigation. In examining the historical development of corporate governance, it integrates issues of company law, regulatory practice and company administration with contemporary corporate governance policies and structures. An extensive range of international examples, both recent and historical, is used to compare theoretical explanations of governance behaviour with practical outcomes. 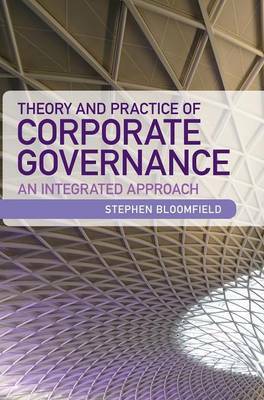 This book will be particularly suitable for students taking an ICSA-accredited course - giving a necessary critical view on governance, law and regulation - and will also be suitable for accountancy courses. Through utilising new conceptual models, it will stimulate debate among both theorists and practitioners looking to develop their expertise.